I was actually going to mention that in the initial post but I don't really count the Disney characters because their worlds generally tend to follow the plot of the films. So it makes sense that there would be romance there. I definitely agree with them focusing on the friendship aspect. Like I think the idea of Sora and Kairi as a couple is cute, and have a couple of other characters I would ship, but that stays entirely in a headcanon and fiction and not something I would get outraged about personally. I do feel in KH3 they kinda pushed the idea of Sora being in love with Kairi a little bit more than just saying they were friends though. When most of the Disney worlds were basically of the theme that you have to understand what TRUE LOVE is in a romantic setting in this game it kinda gave off the vibe. Sure in San Fransokyo it was about friendship, and same with the Toy Box and Monstropolis, but when it came to Olympus, Kingdom of Corrona, Arendelle, even The Caribbean, romantic love was kinda a big thing. Herc loving Meg enough to dive into the well of souls and recover from his slump, Rapunzel loving Eugene and understanding that's what love was instead of what her mother was showing, Arendelle was Anna falling in love with Christoph and using her love for her sister to save her life no matter what their past was and The Caribbean concluded with the whole "If you love someone you have to be willing to make sacrifices" with good ol' Will Turner becoming the Captain of the Flying Dutchman and even Jack helping to bring Will back to life with knowing the Elizabeth loved Will. THAT ALL BEING SAID, there are multiple ways to display love and while I personally feel they didn't need to have Sora and Kairi kiss, there is love there whether it be as friends or more and I quite enjoy it no matter what way it is shown to be. I've kind of developed a dislike of romance in certain fictional properties. Reason being that I've seen franchises where the romance wasn't supposed to be the main focus and there were other more important things going on but then all the fans cared about was the characters' relationship with their love interest. And I was like "uh, guys? There are other more important things going on right now." The Hunger Games was the worst for that, I found. Then again, sometimes it fits really well and has a great balance with everything else. I think it depends on the characters and the writing. That's another reason why the idea of incorporating official romance into Kingdom Hearts' original characters makes me nervous. I just think the dynamic between the characters works better as a platonic connection rather than a romantic one. Should romance belong in Kingdom Hearts 3? Well I don't mind as long as it's done right. Plus, some Disney Worlds (and Disney films) in the Kingdom Hearts series have a bunch of romance between Disney characters, and Kingdom Hearts is a Disney game so I don't see it as a bad thing as long as it's done right. 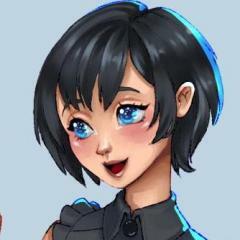 Out of all the Kingdom Hearts games Kingdom Hearts 3 is the closest one that could have romance in the game. Sora and Kairi's relationship in Kingdom Hearts 3 was more develop than in the previous games. In my opinion, Sora and Kairi's relationship in Kingdom Hearts 3 is a little more than friendship. While it's not official confirmed if Sora and Kairi are a couple but those two clearly care about each other and I can see their relationship could go beyond friendship. Plus, never in my life I ever hold hands with my female friends as long as Sora and Kairi did in Kingdom Hearts 3, Lol!. They way Sora and Kairi hold hands, they way look at each other, and the way they express their feelings. Yeah their relationship could beyond friendship. Also sharing a Paopu Fruit could mean a lot of things. According to Riku in Kingdom Hearts 1 if two people share a Paopu Fruit their destinies will become intertwine and they will remain each other lives no matter what. While whether or not it means romance but all we know is that Sora and Kairi share a Paopu Fruit in Kingdom Hearts 3 and, if you believe in the legend, they will forever remain part each other's live. If Nomura does decided to make Sora and Kairi as a couple well I like they way he handle their relationship in Kingdom Hearts 3. I don't need them to say "I love you" or see them kiss because I want their relationship to be nice and slow instead of force. I want their potential romance to feel natural if Nomura decides to pair them up. So for the time being their relationship is up to the players imagination. Also romance in Kingdom Hearts doesn't mean Friendship is no longer a main theme. Friendship is still one of the main themes in the Kingdom Hearts Franchise and it will still be important in the Kingdom Hearts series. If you look at close friendships, hardly any seem romantic in nature: Sora and Kairi are close, but Sora is as close with Riku as he is with Kairi. I suppose you could call it romantic love, but beyond a hug and some obvious affectionate looks, they don't come off as "in love", just as devoted friends. 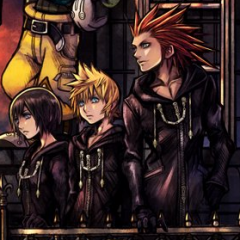 Roxas and Xion are closer, but, in that vein, Roxas views Axel like he views Xion, as a close friend. Nothing romantic. My point is, everyone who's in a sure fire couple set always has a third wheel, like the series is strongly putting friendship over romance, even when there's two character set up as a couple. The only characters openly showing love (Hands holding, kissing, e.t.c) are the PoH in their after game cut scenes, and Mickey and Minnie. Honestly, I prefer it this way, because everyone suddenly coupling up would ruin the series, in my opinion. Oh, for Pete's Sake! A friendship can evolve perfectly into a romance if the circunstances are appropiated, especially if we talk about Disney's stories. Think about several examples: Kim and Ron (from "Kim Possible"), Simba and Nala (from "The Lion King"), Kenai and Nita (from "Brother Bear")... etc. Besides, Sora has grown up by the example of "Disney Heroes", and all heroes need "a light" in the hearts. I'm not talking about the classic "damsel in distress" cases, but simply something that motivates them to keep moving forward; no matter how desperate situations can be. He have tons of them: Beast and Belle, Aladdin and Jasmine, Hercules and Megara, Tarzan and Jane... etc. And in Sora's case, his "light" is clearly Kairi. And although it may came from a mental manipulation, it's obvious that Riku Replica's light is Namine. I agree. To be clear, I'm not necessarily saying that Sora and Kairi's friendship has not/will not evolve into stronger feelings of love. It''s clearly intened to be inferred. But it hasn't been confirmed (at least not enough for me) for it to be a definite development. The reason why I got thinking about this subject is just because a lot of the criticisms relating to this were from people who felt that it was a definite thing, and I just don't think it is yet. But you're right; every hero needs a "light", something for them to fight for, and Sora's is most definitely Kairi's. Not arguing here. But there's nothing wrong with a "light" being purely platonic and nothing more. It's just that more often than not, it evolves into something more at some point. I just think it would be nice if we could have a light relationship like this that stays platonic. Oh, I think that's exactly what they did. And I think it's smart. It allows us to have this kind of conversation, to discuss what we feel their relationship is/isn't and what it should/shouldn't be. I've come to appreciate series that don't shove romance into their plots. Well, I just read through this whole thread, and it's been an interesting one! You always make good topics, AllWil! Now then, to weigh in my two cents. Do I think that romance is something that should take center stage in the series? Yes, but not in a sole focus to make it the only thing the series should tackle. Because Kingdom Hearts is about friendship, the battle between light and darkness, self redemption, the light and dark sides of the heart, and about perseverance and literal heart in the face of the most direst of circumstances. Adding romance into this pool of themes seems like it would be great! As long as it's done right, like Movies798 mentioned. And well, even though it's not directly stated that Sora and Kairi are a couple, they do seem like they are the most likely people in the series to have romantic ties. The best example of this is in the story in Chain Of Memories. In that game, one of the key aspects is Sora's bond with Kairi, and how Namine refers to Kairi as the person that is the most special in Sora's heart. The way he relentlessly searches for Namine and becomes blind to all else is akin to that of how a loved one would go to the ends of the earth for their own. Yes, this can extend to family and friends, of course, but I do believe that in Sora's case, his feelings for Kairi are stronger. The fact that Kairi was pushing him through this whole time is a chief thing in all this. While they could end up being nothing more than just very close friends, I do believe that they will end up together at some point in the future. As long as it's done naturally, I'm all for it! Also, them holding hands and sharing the Paopou was probably the closest we'll get to seeing them in a romantic light for now. And I enjoyed every moment of it!